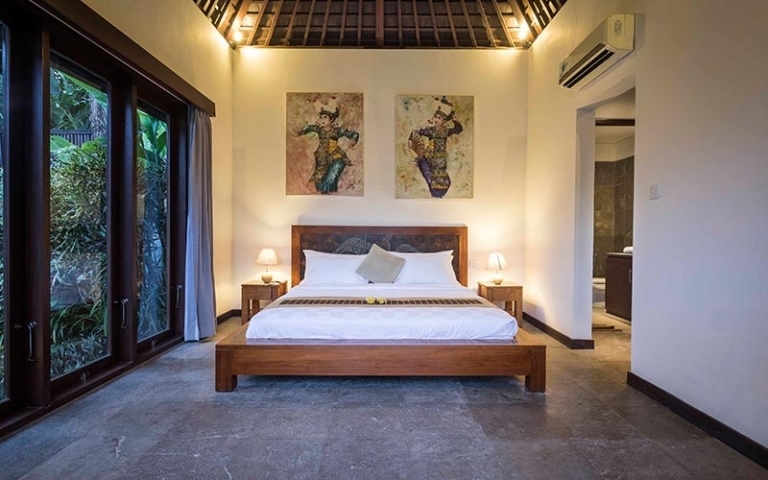 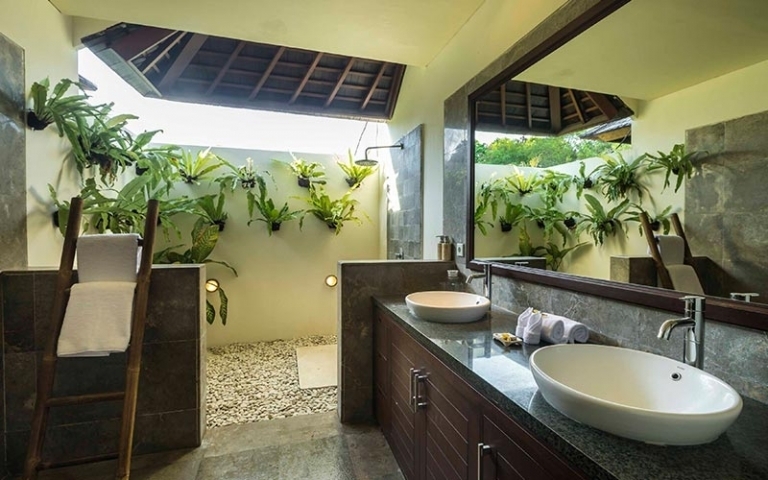 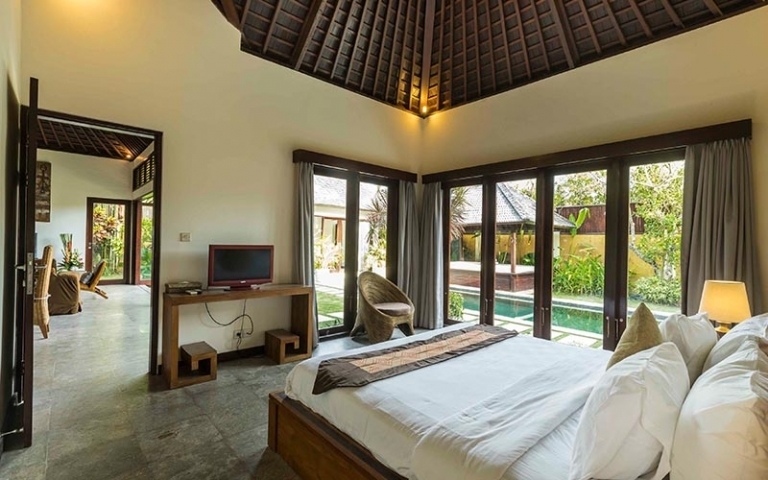 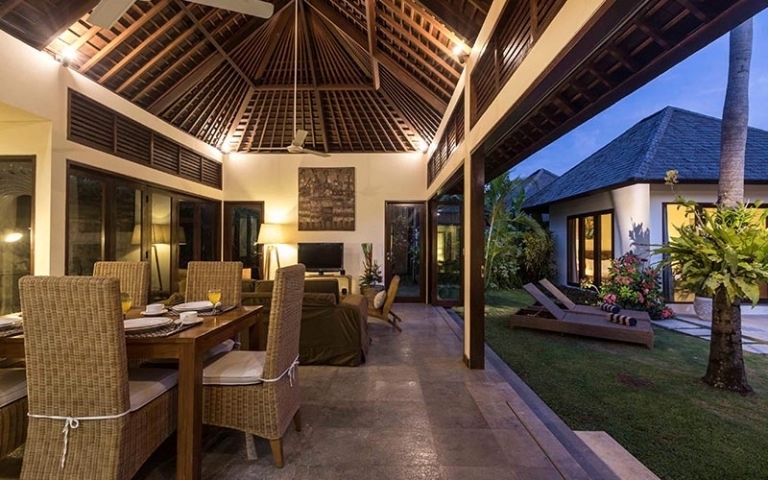 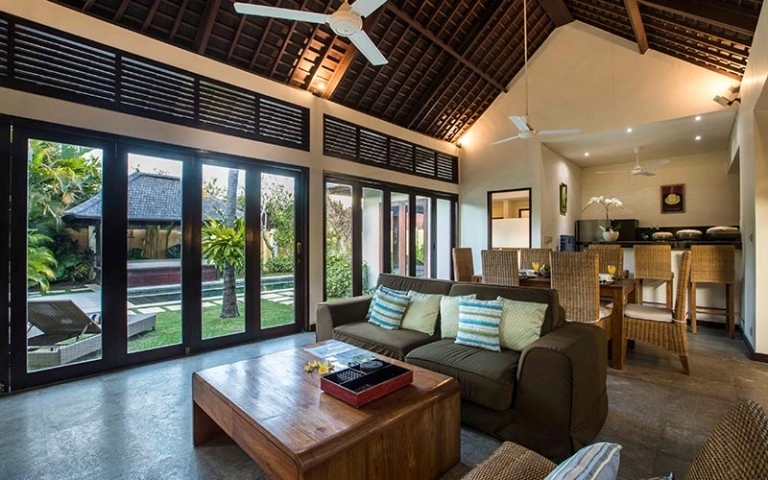 Charming 2 bedrooms villa is ideally located in a quiet alley in Kerobokan. 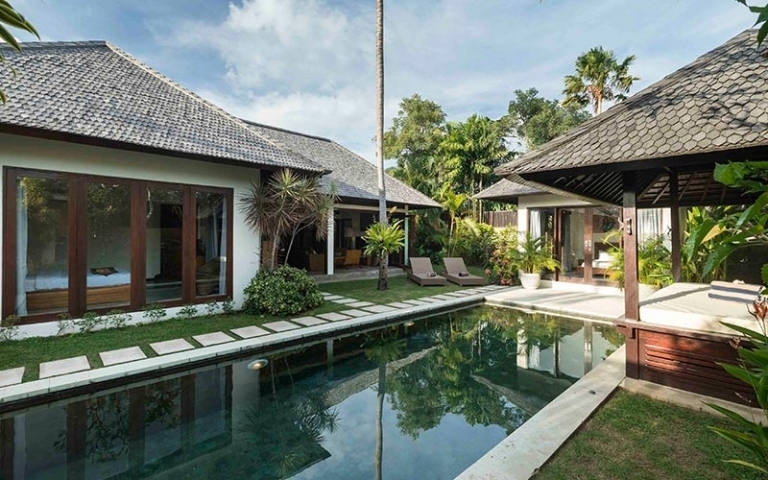 It is just a few minutes walk from the shops and restaurants in Petitenget and Oberoi. 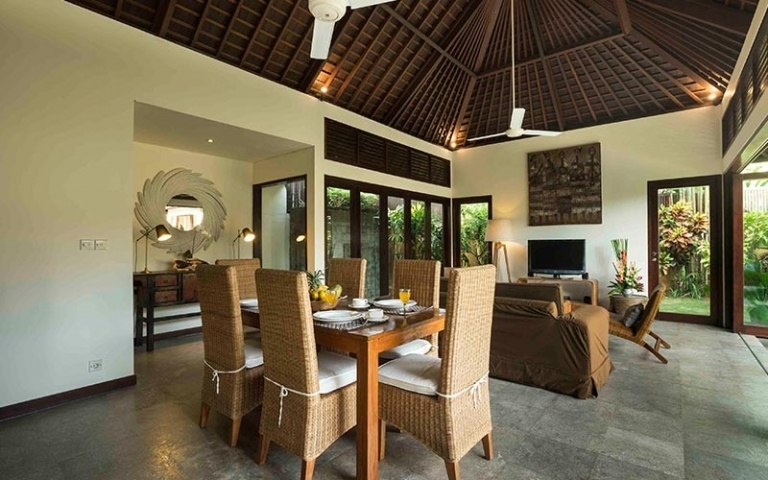 Villa combines the taste of modern style and traditional architecture. 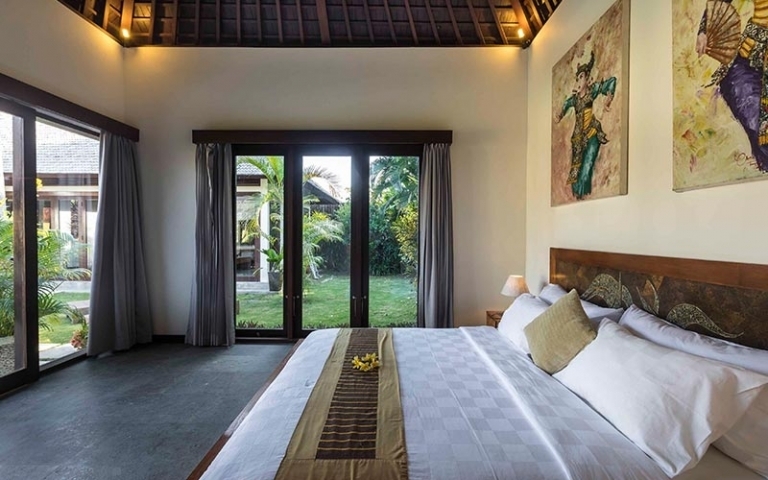 Two elegantly designed air-conditioned bedrooms with double bed and en suited bathrooms. 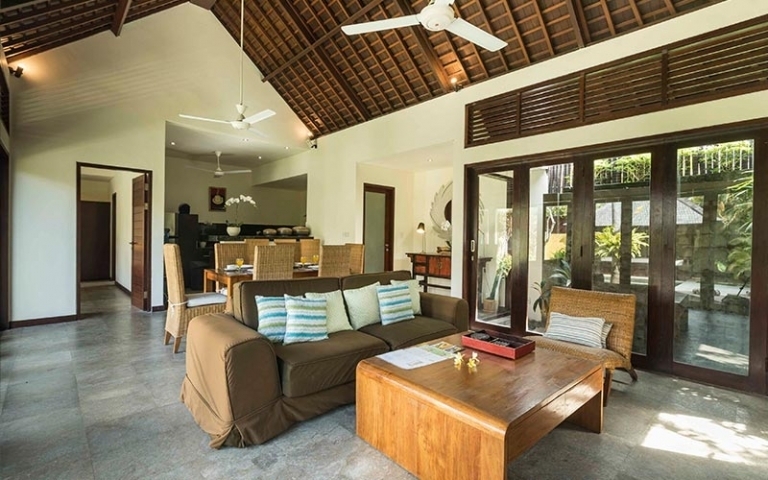 Large living room with full-equipped kitchen, dining room and TV lounge. 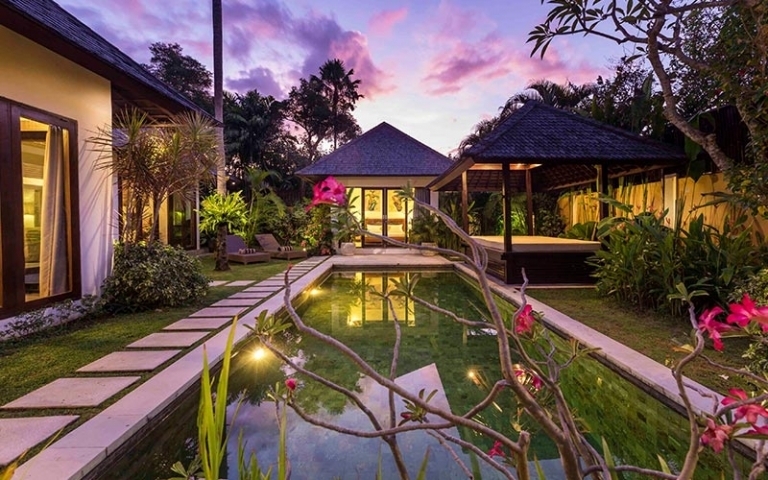 Surrounded by tropical garden, you can pamper yourself by enjoying a Balinese massage in gazebo by the side of a 9 meters long swimming pool. 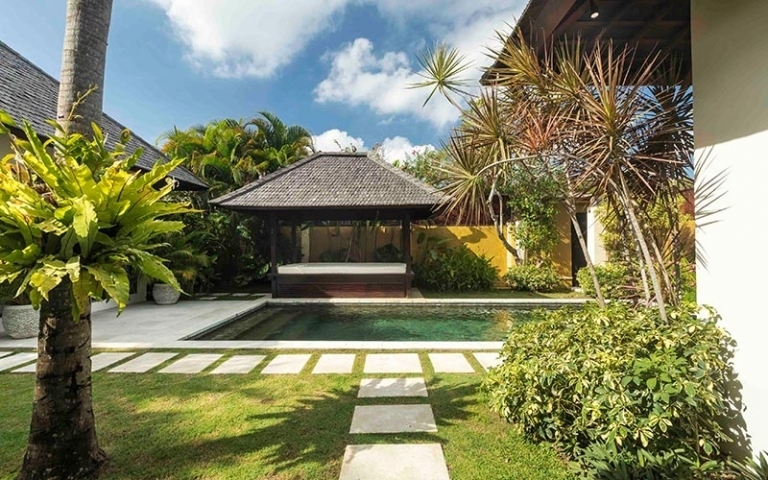 Price in EUR 160 000.